We’re having a minor problem with the ability for readers to leave comments. If you would like to comment on an article, please click here and we can add your comment to the article. There is a whole branch of Chinese medicine associated with the martial arts, and to say that much of the information is secret would be an understatement. 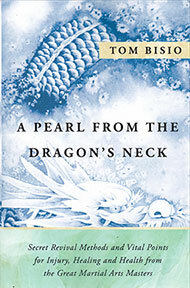 But now, author Tom Bisio hands us an invaluable text, A Pearl From the Dragon’s Neck, comprehensively detailing revival methods, using vital points, cupping, moxibustion, massage, and pressure. He also includes herbal remedies to increase vitality and other approaches toward treating illness. As Bisio says, you can flip through the book and satisfy your own needs or curiosity—it’s that easy to use this text, and to apply it. This book should be included in every martial first aid kit. What is “frame?” If the answer doesn’t come immediately, don’t worry—this is a concept that confuses a good segment of the martial student body. At first glance, it simply consists of standing a certain way and holding your limbs in an agreed upon configuration. Of course, people assume different shapes—but sometimes what they think of as an impenetrable en garde really leaks like a hovel made from discarded pallettes. A good frame doesn’t leak. 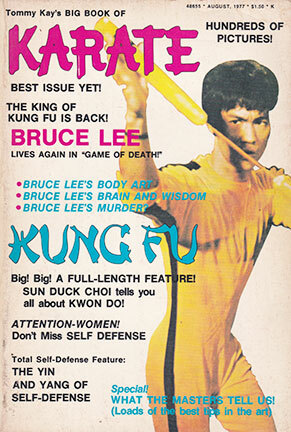 There are said to be three main frames in the art and science of Kung Fu: large, medium and small. These divisions correspond to the foundational concept of heaven, mankind and earth. These are thought to be the universal levels of martial reality, whether coin small or galaxy large. 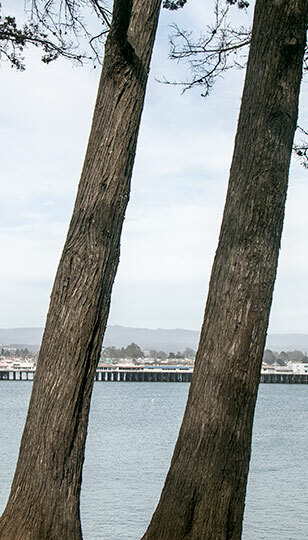 Although this gives us a fair beginning, a frame is more than a tri-sected “frozen” position—it is not just a stance, but a personal space in which to take that stance, to move around in, and to claim. Some martial instructors designate this as an “envelope.” I disagree, because envelopes are mainly about protective zones. Practicing your ‘frame’ also involves topics such as release of power, internal training and more. It is the shape of the entire body and how it relates to itself. 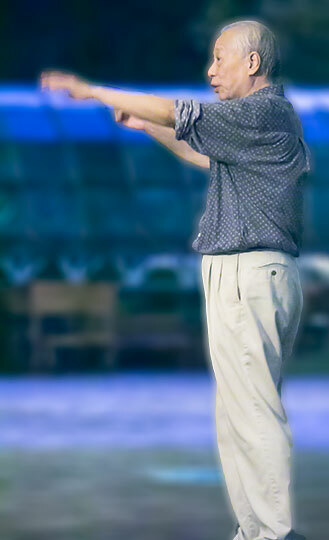 A “small” frame, popular in some southern styles, is practi ced with abbreviated movements, while Yang style Tai Chi is known for a large and rather elegant frame. Frames are not straitjackets. They can be adjusted at will. 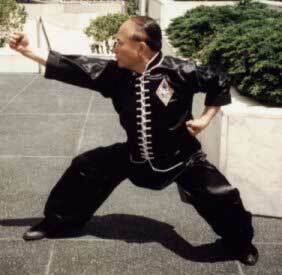 You may adjust your frame for fighting, for multi-opponent attacks, for Qigong, for conditioning, for distance. Not only MAY you make this adjustment, but you SHOULD. A good frame is a theme that brings together thought and actions. A frame integrates the elements of posture, stance, and intent within its shape. Unlike an envelope, which defensively limits fighting space, frame dynamically secures or even exceeds the space. It is responsive, not only to the opponent but to the action inside it. Frames are not arbitrary, but they are flexible. The idea of a frame is really understandable when you consider weapons. In a knife-carrying frame you want to keep your limbs inside the frame. 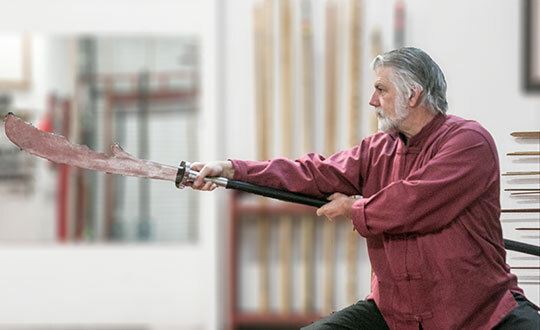 Facing someone with a knife, for instance, requires a different frame than going against a long stick. Frame teaches boundaries; just let that tennis ball go out of bounds or that hooking punch take the big, inefficient path toward your pate. Recognizing your opponent’s frame is like knowing his private code. It encourages all the proportions and numbers like the painter holding up his out-stretched arm and thumb to measure a subject’s distance in space, or the gauging jab of western boxing. 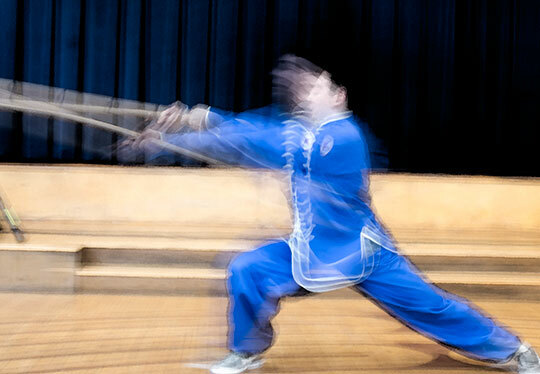 One of the major achievements of Chinese martial arts lies in the genius of layered information. For instance, putting yourself into the right frame, correcting any inequities in posture and alignment, not to mention practicing that ever-present intention to explode out of your position—these all can be coordinated into a single frame exercise, a perfect example of deep layers of information: the data. 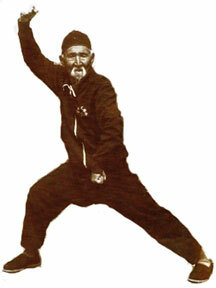 Example of proper Kung Fu frame. Taking the frame into your studio allows you to fine tune what you see in the mirror, work with partners, use equipment. Can you generate power from this position? Can you conceal the source of this power? Is your frame appropriate, considering your imagined opponent? I don’t want to dishearten any practitioners’ efforts, but over the years I’ve seen many people obsessed with speed, power and balance (all good topics in themselves) yet almost oblivious when it comes to posture and frame. The need for frames pops up everywhere. Eliminating couch slouch, ignoring instructions from your teacher, messing around with classical moves so they seem to FEEL more power, pushing yourself to distraction; in all sorts of ways frame training can have a positive effect correcting life’s bad habits no matter which corner of the mat you start with. We have been practicing and discussing how to make friends with 60:40 stance in our recent community classes. This is where 60% of the weight is on the back leg, and 40% is on the front leg. Often the most uncomfortable or difficult to understand stance, where many students are just bearing it until they can pop out of it at the first opportunity. Yet it is of utmost importance because we move through this stance all the time. Going from 50:50 Horse Stance to Bow Stance, or Horse Stance to Empty stance and most places in between, we must move through 60:40. So it teaches us about how to maintain full engagement through transitions. All stances done correctly, feel alive, not inanimate like a stone. 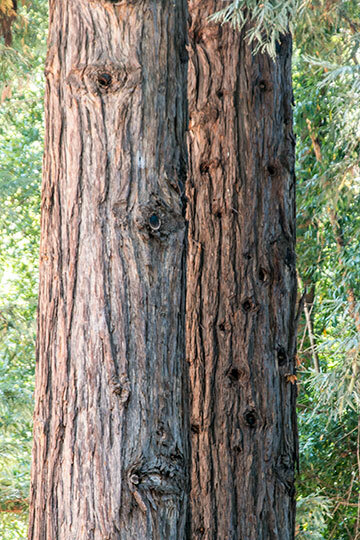 Taiji is moving meditation where there is stillness in motion, and motion in stillness. It should dynamically balance the 6 directions, heaviness and lightness, fullness and emptiness. Transitions are agile and adaptable according to what presents from moment to moment. 60:40 is not very far from 50:50. It’s only a 10% differential! Trying to keep up with the tower of material stacked high here at Plum, waiting to be catalogued and made available to you! 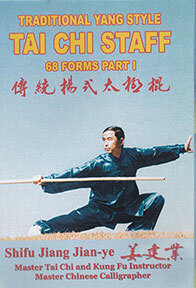 Today’s newest additions start off with the Yang Tai Chi 68 Staff DVD (2 parts) demonstrated by the popular Jiang Jiang Ye. This 68 move form is one of the longest sets we’ve ever seen, especially considering the low percentage of repeat movements. The other welcome newcomers are in our ever-increasing series of en face (dual language—English/Chinese) books, each with a companion VCD (also in Chinese with English subtitles). This series offers nice color photo breakdowns with dual-language instruction, and then the VCD, with demo and instruction. For those of you learning to read Chinese, this is a great learning aid. 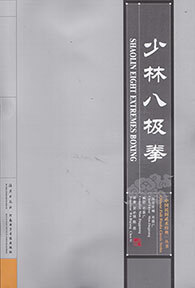 The first of these is the famous Shaolin Small Red Boxing (Xiao Hong Quan). This short and easily learned (we said easily learned, not perfected) tao lu shows the handed-down postures and actions of this strong and definite Middle Boxing. This is an example of the core forms of Shaolin. 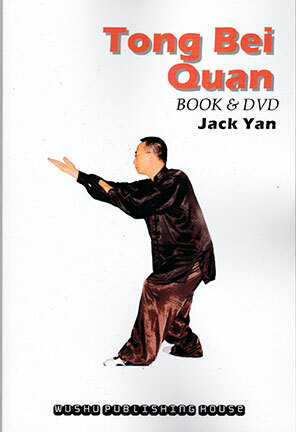 The next book/vcd presentation teaches a Shaolin Baji Quan form. 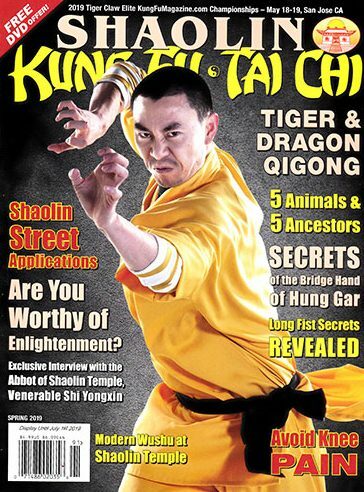 Over time, Shaolin has married many styles with its own system—Baji, Pigua, Tong Bei, Mantis—archiving the deeper reserves of each style to include its forms, herbals, fighting and Qigong. 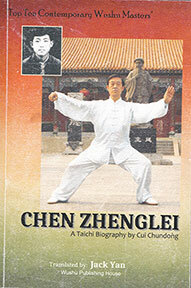 As promised last week, we are happy to announce the addition of a new biography of Chen style Tai Chi Chuan master Chen Zhenglei. 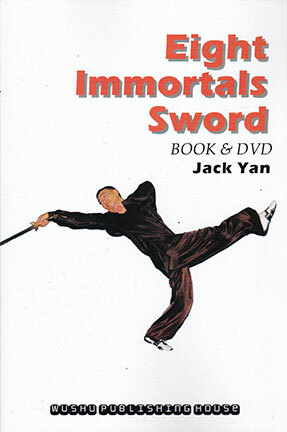 This book has something for everybody interested in the topic of Tai Chi Chuan—this includes the martial artist seeking Tai Chi’s principles; the person interested in Tai chi as a health regimen; the teacher studying his master’s personal approach; or an enthusiast investigating the general growth of Tai Chi. This dual story—that of a teacher along with the history of his famous style—is well-written and -translated into English, and is a fine accompaniment to the many other representations (books and dvds) we offer from Chen Zhenglei. And if you want to see the Master move, check out our earlier post HERE. 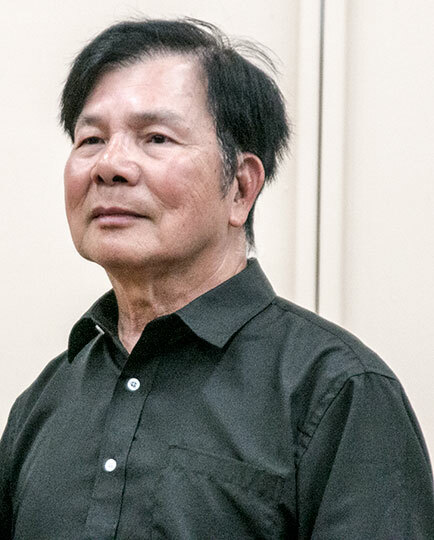 Master Chen Zheng Lei was in our area, co-sponsored by our favorite Chinese martial arts magazine, and they generously posted this 5 1/2 minute piece of performance—a beautiful and meaningful demonstration. This comes just in time (almost) for our announcement of a new recommendable biography of Chen that will come in next week to Plum. We’ll keep you posted on its arrival and availability. In the meantime, enjoy the clip below. 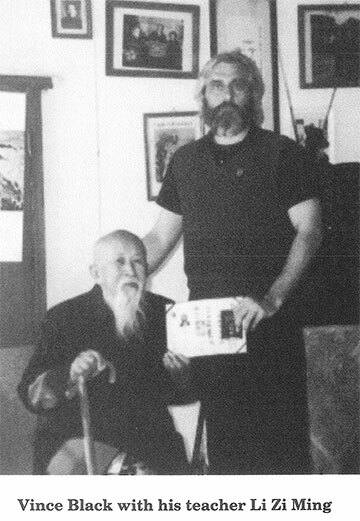 I’m also including links to the wide range of material Plum currently represents from Chen Sifu. 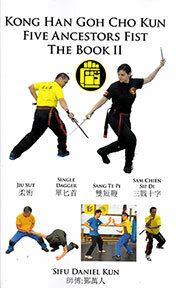 Five Ancestors Fist is a famous and powerful style combining major techniques from the system. 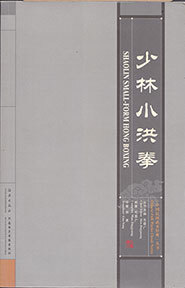 This second volume from Sifu Kun, Kong Han Goh Cho Kun continues archiving the important aspects of its no-nonsense training. 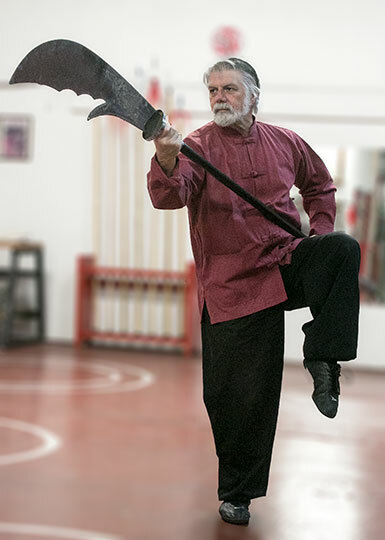 Representative forms include Open Hands (Three Battle Cross), Short Dagger and Sai. In both cases of the weapons there are numerous applications as well as forms. 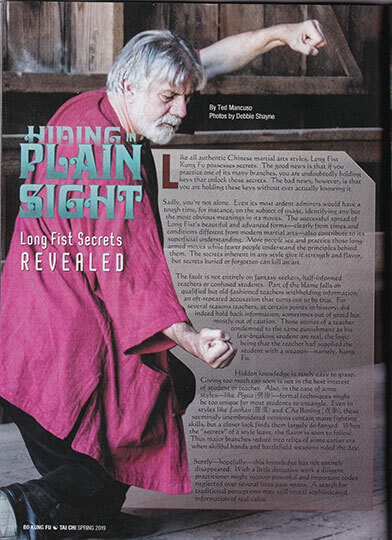 This text is everything we like to see in a martial arts book: numerous, well-defined photos; clear and generous instruction, and a decided committment of contribution to a style. Combined with Sifu Kun’s first volume on Five Ancestors, a student could be well along the path of this great Southern style. 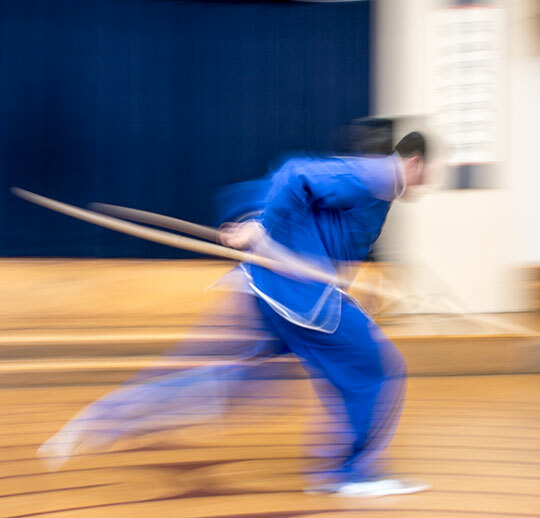 I tell my students over and over to “go fast, but don’t hurry.” In the martial world, too early can be as bad as too late. After all, how long do you want to wait for the plane to land? On the other hand, who wants it to arrive maddeningly early? Timing is a necessity. 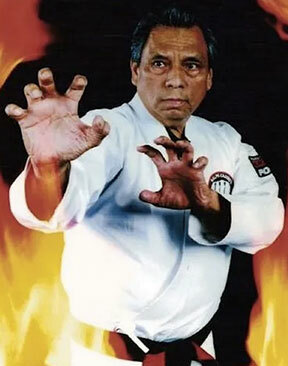 Your practiced movement truly timed can reroute the heaviest of punches., dissolve the fiercest attacks. On the other hand, confusing your opponent’s timing is like striking him blind. The CDC released some disturbing data on falls for the year 2017. More than one in four seniors experienced falls. Among Americans, falls were the number one cause of injury and death from injury. The CDC recorded 29 million falls, 3 million emergency room visits, resulting in $31 billion in medicare costs. Most alarming was the fact that two thirds of those who fell, fell again within six months. was to wheel him/her to the kitchen sink, and assist them to stand. At this stage of my career I didn’t know why this simple intervention would be beneficial. My supervisor was very experienced, so I had no reason to doubt her. Somehow, intuitively, I knew that she was right. I also knew that many martial artists supple-mented there training by holding static postures/stances up to thirty minutes at a time. Anecdotally, they reported increased leg strength, balance, and improved body usage as a result of this practice. 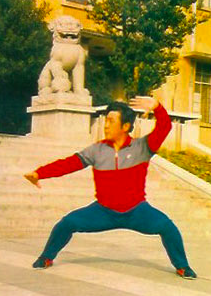 We are sad to announce the passing of Northern Shaolin Sifu Wong Jack Man. 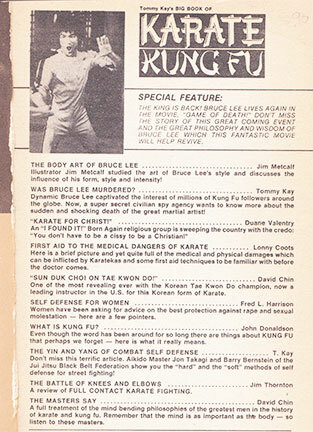 Known long before his famous fight with Bruce Lee, Wong Sifu had become a major proponent of Bak Sil Lum, Iron Body, and Golden Bell skills. With the death last year of Kwong Wing Lam, Gu Ru Zhang’s lineage has lost two of its aficionados. Our thoughts go out to his friends, family, students and colleagues. May his memory be a blessing. 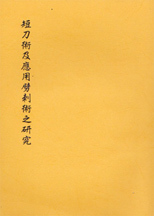 Wu Style TaiChiChuan: Forms, Concepts and Application of the Original Style, by Wu Ying-Hua and Ma Yueh-Liang. 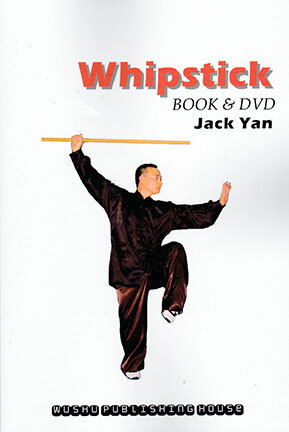 This book, along with its companion, Wu Style Tui Shou (Push Hands) book by the same author are two contemporary classics in the Tai Chi Library. Both are now back in stock. We welcome five new texts, three of them in both Chinese and English. Among the lot we have a nicely done 5 Animals routine. We also have something very unusual: a duet set where spear battles…another spear. Do not try this at home.